Researchers in Australia and France claim to show honeybees learning to do symbolic addition and subtraction (really just incrementing and decrementing) based on 1-5 colored shapes at a time. Interesting ramifications if that's true. Many animals understand numbers at a basic level for use in essential tasks such as foraging, shoaling, and resource management. However, complex arithmetic operations, such as addition and subtraction, using symbols and/or labeling have only been demonstrated in a limited number of nonhuman vertebrates. 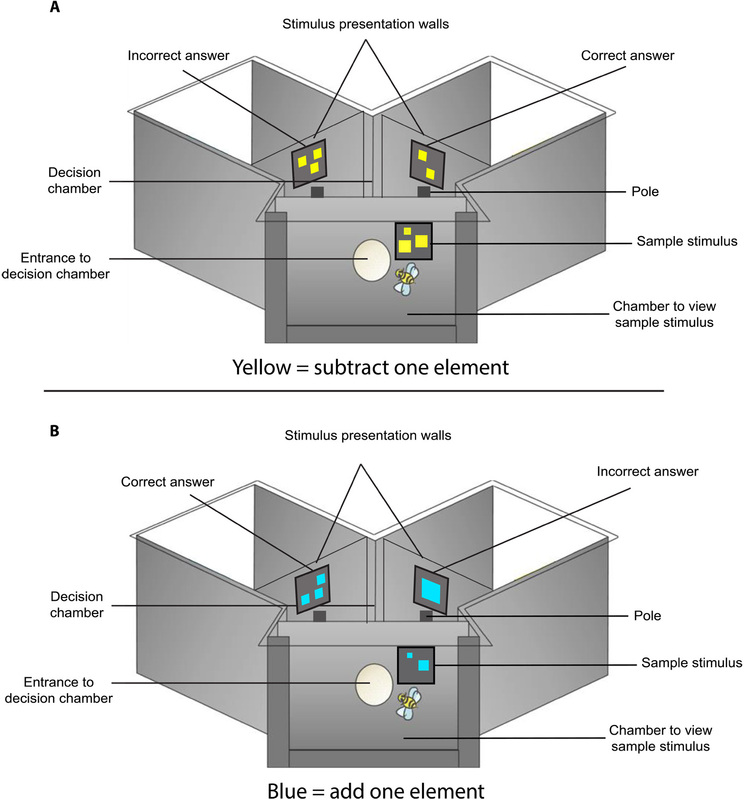 We show that honeybees, with a miniature brain, can learn to use blue and yellow as symbolic representations for addition or subtraction. 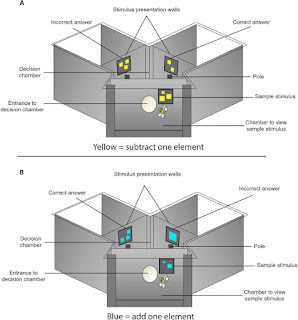 In a free-flying environment, individual bees used this information to solve unfamiliar problems involving adding or subtracting one element from a group of elements. This display of numerosity requires bees to acquire long-term rules and use short-term working memory. Given that honeybees and humans are separated by over 400 million years of evolution, our findings suggest that advanced numerical cognition may be more accessible to nonhuman animals than previously suspected. A fascinating article by a PhD candidate in military history: On the U.S. Navy's switch from face-to-face classrooms for training officers in surface warfare combat to independent computer-based training (CBT) aboard one's ship from 2003 - 2012 -- which turned out to be both a training disaster and also wildly inequitable, and was replaced with renewed face-to-face training after that time. Finally, changes undertaken with the principal goal of saving money or hurrying a process are fraught with danger. The overriding pressure to achieve financial or time savings threatens to overtake innovative ideas and turn them into quick-fix vehicles for the achievement of specific goals.